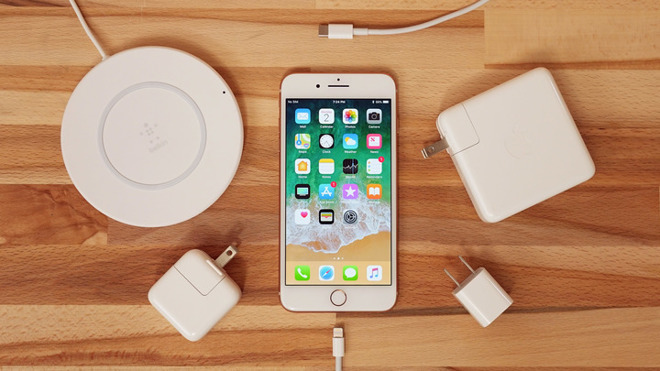 The European Commission is examining if it should push smartphone producers like Apple to collaborate on a single mobile phone charger that would work with all smartphones, due to an apparent lack of progress by vendors in moving towards creating a common charger. A proposal first suggested a decade ago, the European Commission wants mobile device producers to use a single charger, one that would work regardless of the device connected to it. Up until now, it has been voluntary for companies to work on the problem, but Reuters reports EU Competition Commissioner Margrethe Vestager is keen for progress to be made on the scheme. "Given the unsatisfactory progress with this voluntary approach, the Commission will shortly launch an impact assessment study to evaluate costs and benefits of different other options," according to a response from Vestager to an EU lawmaker on August 1. The Commission did get a collection of device vendors, including Apple, to agree to work on the initiative in 2009, with the view to harmonizing chargers for new smartphone models in 2011. After the initial memorandum of understanding expired in 2012, some of the companies signed letters of intent in 2013 and 2014, supposedly keeping the project alive. The push for a single charger would benefit consumers as there would be less of a need to keep a variety of chargers on hand for the different devices they own. The Commission also believes switching to a single common charger would eliminate more than 51 thousand tons of electronic waste disposed by consumers every year. In the decade since the agreement, there has arguably been some level of commonality between chargers, with many consisting of a USB port on a plug and a USB cable that connects to the device, which in many cases can be used by other hardware. There is, however, still a disparity between devices at the point where the accompanying cable connects to the smartphone, with Apple using Lightning while Android devices employ either microUSB or USB-C. While it is likely Apple will continue to use Lightning as the connection on its iOS devices for some time, there is the possibility that the chargers for the next iPhone generation could have a USB-C port.